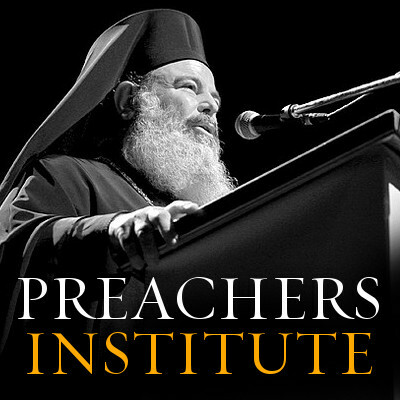 You are here: Home / About Preaching / To the Preacher: K.I.S.S. Then, as if he has something to add to the words of the incarnate God in their midst, the preacher stands up to add a kind of liturgical addendum to the words of Christ. How nervy is that? But that is the priest’s canonical and sacramental responsibility. The liturgical tradition does not demand that he preach at Vespers or Matins or at the other sacramental occasions of the Church. But it does demand that he preach at the Eucharist, and the time set for the preaching, from at least the time of St. Justin Martyr in the mid-second century onward, is after the reading of the Gospel. If he does not preach then, he is remiss, and fails in his duty as a priest in the Church of God. 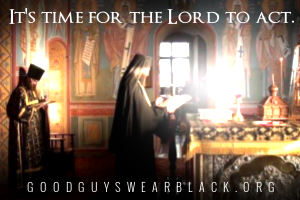 Pastoral considerations may suggest that he defer this duty until the end of the service when more people are present, but the canonical, liturgical, and historical time set for the homily is immediately after the reading of the Gospel. This setting reveals the importance of his words: he is ordained by God to elaborate on the words of Christ our Saviour, explaining them, applying them, and driving them into the hearts of those committed to his pastoral charge. Leaving the homily to the end of the service detracts from this, and gives the erroneous impression that his words are a kind of appendix to the service, something acceptable, but not essential. The homily therefore becomes like the announcements which follow it: they are helpful (maybe) but are a part of the worldly life of the parish, like the coffee hour following or the meeting of the woman’s group on Thursday. All things being equal, the Liturgy would not be lacking in anything essential if he didn’t preach at all—whereas in actual apostolic fact, the Liturgy would indeed lack something essential if the shepherd did not preach and drive the words of Christ into the hearts of his flock. —not very formal or respectful, perhaps, but certainly to the point. Of course the description “short” is a relative term. For some people, any homily over ten minutes is not short, and violates the sacred canon of brevity. Saint John Chrysostom would not agree, for his homilies went on for about an hour or so, and people not only did not mind, but applauded him for his lengthy addresses and wonderful eloquence. When I suggest that preachers keep their homilies short, I mean that they should say exactly what God told them to say, and not a word more. In the case of the Saint John Chrysostom, God told him to say things well able to fill an hour or so, and so nobody minded. The issue is not the clock, but the message and its source. Did God tell you to say that, or are you just going on under your own steam? If the latter, then for God’s sake and the sake of the people of God, please stop. but his homily is delivered with the same authority as if he had begun with those words. Sermon preparation therefore involves seeking God to discover what He wants the preacher to say to his people, building a bridge from the Gospel and the Scriptures to the situation where the congregation finds itself. The preacher must know both the Scriptures and the congregation. (This means that guest preachers labour under an almost impossible difficulty, for they can hardly ever know the latter.) When the preacher has heard from God, he must treasure that word in this heart and send it forth like a torrent of fire into their hearts. He should let the fire of the Spirit burn in his heart and let out from his mouth like the spirit of prophecy. Some might object that this sounds too much like the revivalist Charles Finney. I would reply that it sounds more like the saint John Chrysostom. The path into the hearts of the people are from the heart through the eyes. This means that the preacher must look them in the eyes when he preaches to them, and not look to his notes. Notes for sermons are like training wheels on bicycles: they are okay when one is learning, but unnecessary but one has learned. If the preacher uses notes, he will inevitably look at and relate to those notes, and not to his people. This is unfortunate: the path the Spirit of God takes is from the fire-filled heart of the preacher, out through his eyes, into the eyes of the parishioner, and into the parishioner’s heart. The use of notes impedes this path and wrecks this life-giving process. Better for the preacher to leave the notes in his pocket, and speak directly from and to the heart. Better a few words of fire to the heart, than a multitude of words which do not enter the parishioner’s heart, but bounce off the ears and are forgotten by the time the parishioner has driven home. “Speak, Lord, for Your servant hears”. His task is to discern what God would say, and to say exactly that and nothing more. He must keep it as short as God kept it. He does not need to help God by adding his own opinions and puny rhetoric to the prophetic word. God’s word is mighty and powerful, and able to convict, convert, and heal. The preacher himself is nobody. His dignity and task is that of a channel for the prophetic word, a temporary container for the fire. It is the fire which matters, not the container. All the prophets knew this. Orthodox preachers should remember this as well. 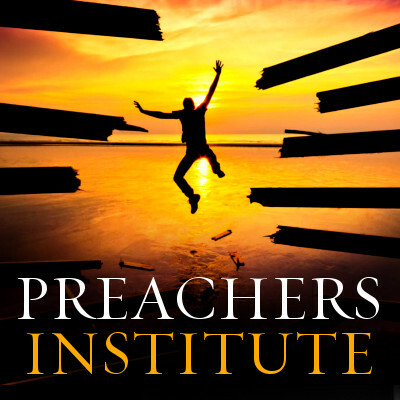 Share the post "To the Preacher: K.I.S.S."